Welcome! What an exciting time for Virtual Reality. Today I’m going to show you how to build your own VR application for the Oculus Rift from scratch! Whether you are brand new at developing an app – or you are a seasoned veteran – this post is for you. That’s because pretty consistantly every new Oculus runtime and SDK have always had unique steps and weird quirks to get you to the point where you can make apps. And often involve a lot of steps that send you all over the internet to find out how to do it. With this post I am going to walk you through it from the start and you will have a built app at the end of it. 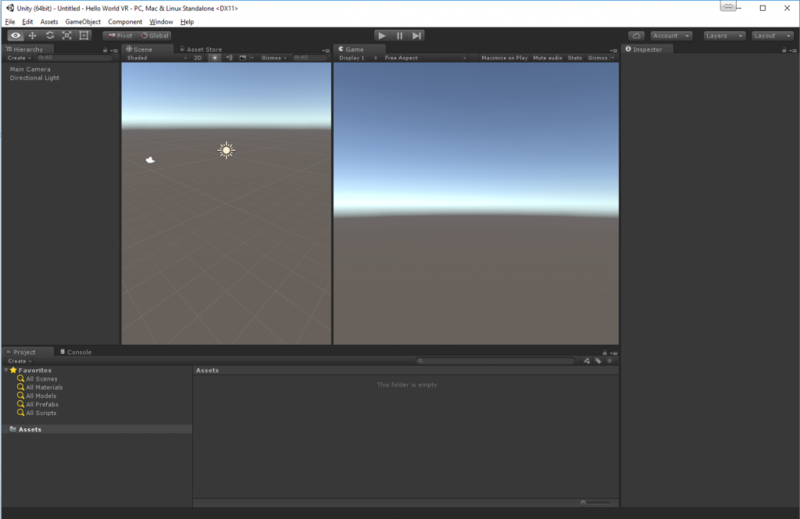 Excluding times for downloading, installing and rebooting, you will have a VR app working within minutes..
I’m going to show you how to develop an app using Unity3d v5 and Oculus VR. A VR Headset: Oculus CV1 or DK2.Buy one from Oculus Store, Oculus Ready PCs or ebay.Note: Even though I say this tutorial works with Gear VR – that is not the best system to develop and test with because you still can’t plug a Gear VR directly into the Unity3d to use for interactive testing. So I definitely recommend you have a DK2 or CV1 for this. 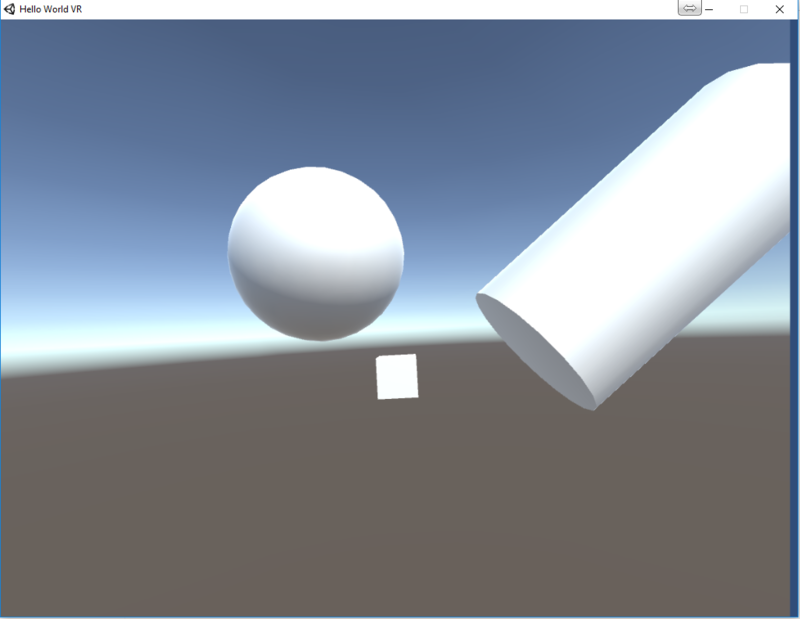 You can still build your VR app to work on GearVR as well. An Oculus Compatible PC.See the Oculus recommended specifications, and you can also download the compatibility checker tool from the same page. If you need to upgrade components, check out NewEgg’s VR page. 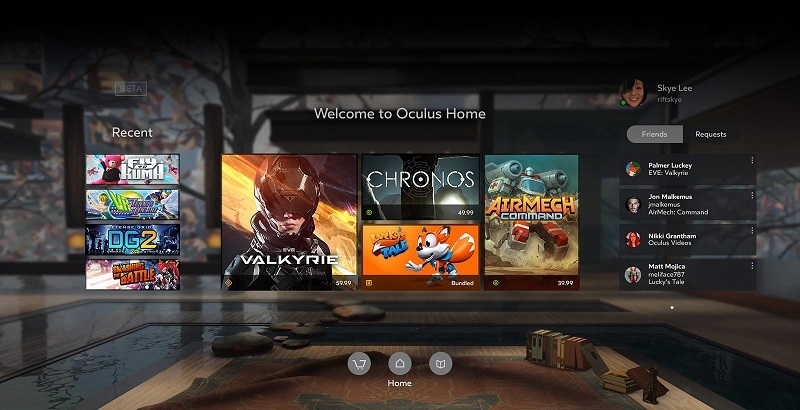 (You can skip this step if you have never had Oculus installed on your PC, or you already have installed the current Oculus Runtime 1.3. If you have the ‘Oculus Home” experience, then you have 1.3). 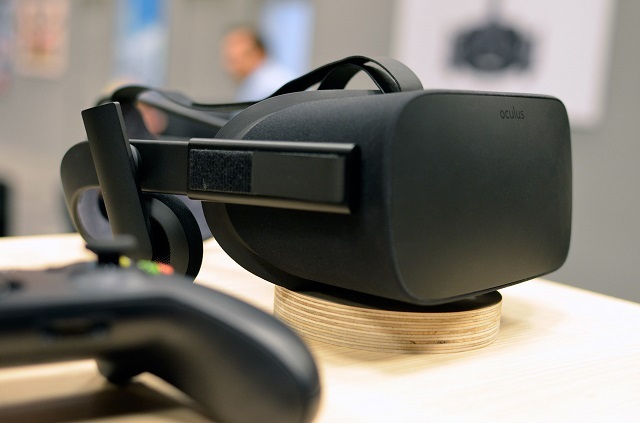 For correct operation you want to make sure any previous runtime is completely removed, in particular Oculus Runtime 0.8 which was widely used in the lead up to the Rift release. 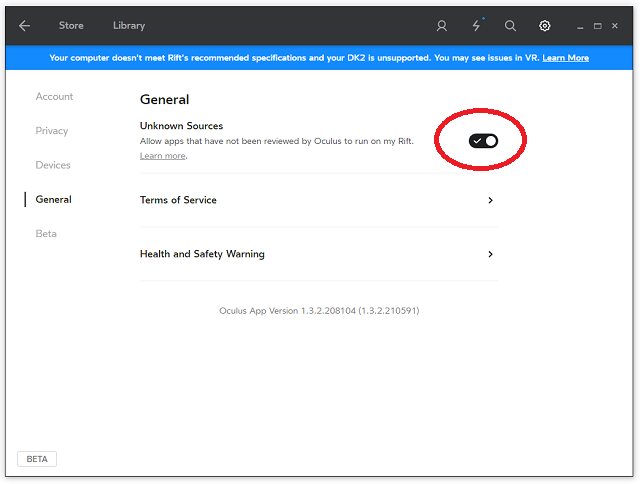 Uninstall Oculus Runtime:Go to Start->Settings->System->Apps & Features : Click on “Oculus Runtime” and press Uninstall.Note: Uninstalling the Oculus Runtime will also uninstall the sensor Follow the prompts to uninstall. IMPORTANT: Make sure you restart your PC before continuing. (Like Step 1: You can skip this step if you have never had Oculus installed on your PC, or you already have installed the current Oculus Runtime 1.3. If you have the ‘Oculus Home” experience, then you have 1.3). Before you can build your own VR applications, you should make sure your Rift is correctly installed and you can play existing applications or games. Oculus have a well documented installation process here. You most likely need to upgrade your video drivers. 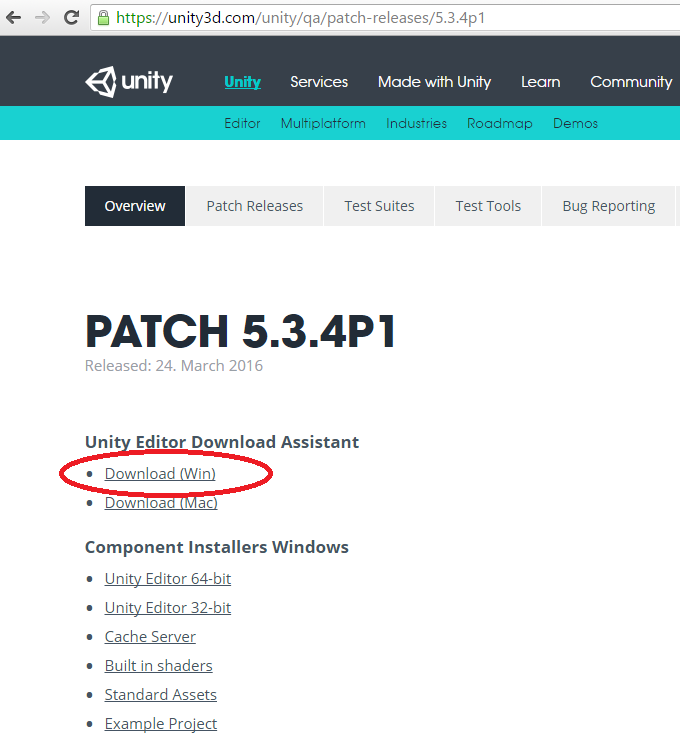 At this time (22 April 2016), the officially recommended version of Unity is a patch build v5.3.4p1. 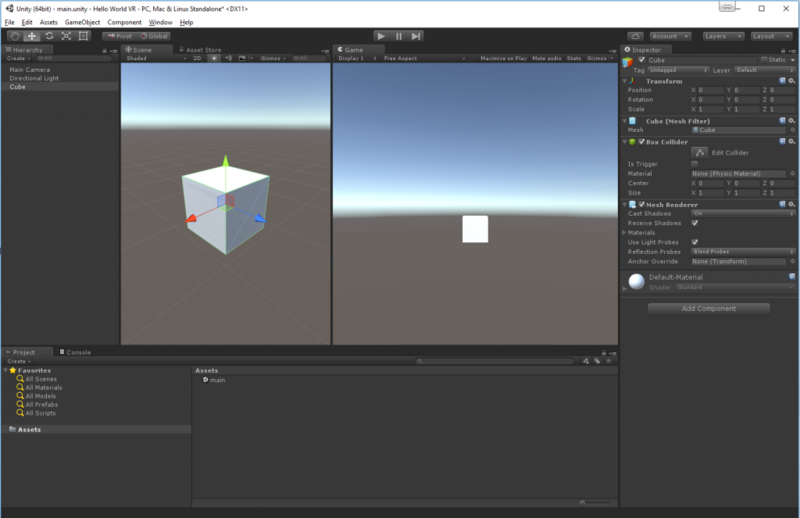 You can use Unity as the free or professional (licensed) version to create VR. 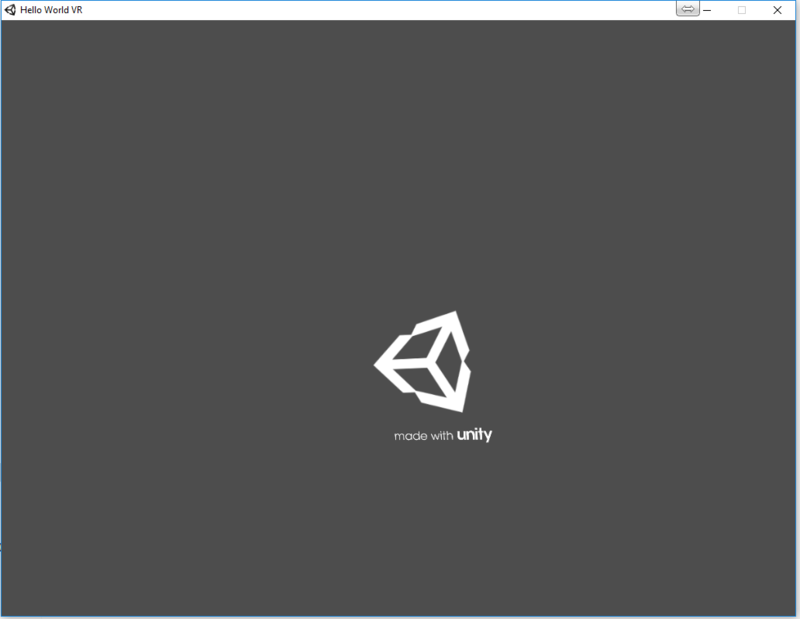 The professsional version allows you to customize the splash screen to remove the Unity logo, and provides more powerful features. For this tutorial I recommend the professional trial version. By the time you read this that may have changed. To keep up to date with the correct version see the Oculus Forum post Recommended Unity Versions For Development. 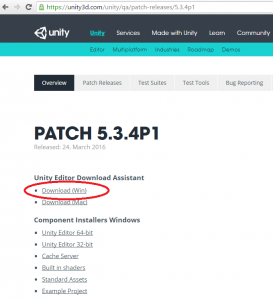 Download and Install Unity v5.3.4p1. Extract the OVRPlugin zip, open the folder 5.3\oculus, and copy all of its contents into C:\Program Files\Unity\Editor\Data\VR\oculus. 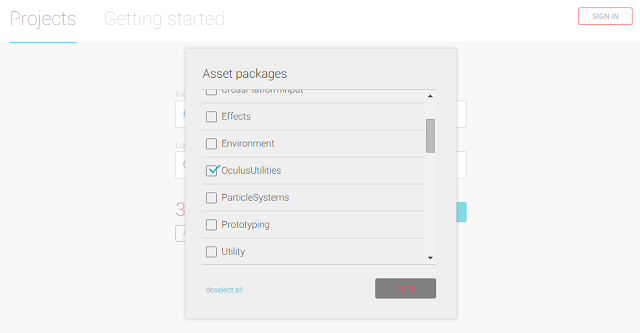 (Optional) Download the Oculus Utilities 1.3.2 for Unity 5You can develop Oculus VR apps without the utilities by using only Unity 3d native VR. 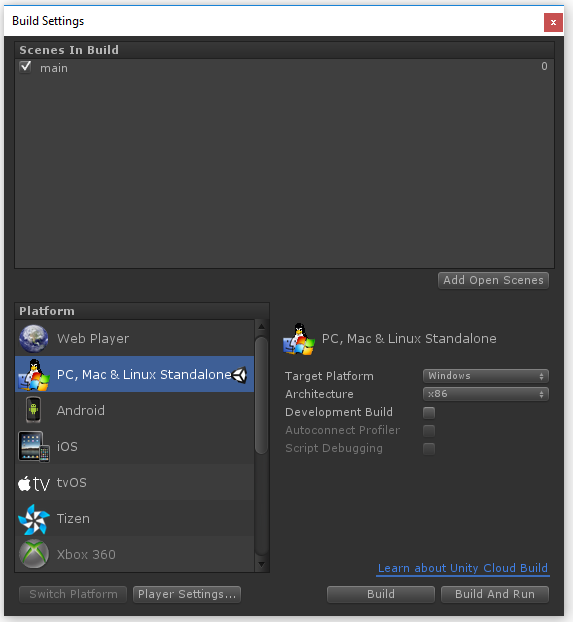 However, there are a lot of useful features in the Oculus Utilities – such as the OVRPlayerController to quicjly enable your player to walk around using the XBox Controller or keyboard.I recommend downloading this.Once downloaded, unzip ovr_unity_utilities_1.3.2 and copy the OculusUtilities.unitypackage into the Unity standard assets folder: “C:\Program Files\Unity\Editor\Standard Assets”. IMPORTANT: Allow Unity to use the VR headset by enabling “Unknown Sources” in the Oculus Home settings panel. (If you don’t, you will see an error in VR that Unity does not have permission). Note: Press File->Save (CTRL-S) to save this change (in case Unity crashes). 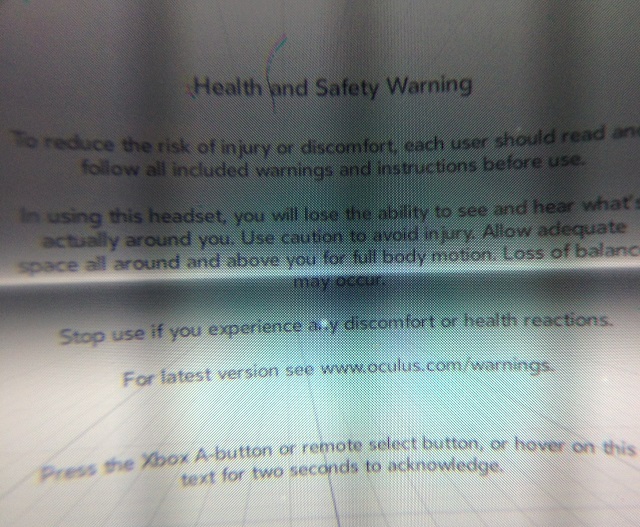 Now look through the CV1/DK2 headset and you will see a Health & Safety Warning. Follow the instructions to dismiss it (press XBox A-Button, Press Select on the Oculus Remote, or Hover the cursor over the text to dismiss it): Now, you will find you are seeing your cube ! !Note: At this stage there is no way to disable the Health & Safety Warning for developers (which was previously possible). Hopefully Oculus will add that option in the future. Press the now Blue PLAY Button again to STOP and return to edit mode (Any edits you make while playing are lost when you stop). Looking through the VR headset now you will see black. Experiment by adding other objects to the scene and pressing PLAY again.You will see your new changes in VR. Well done! 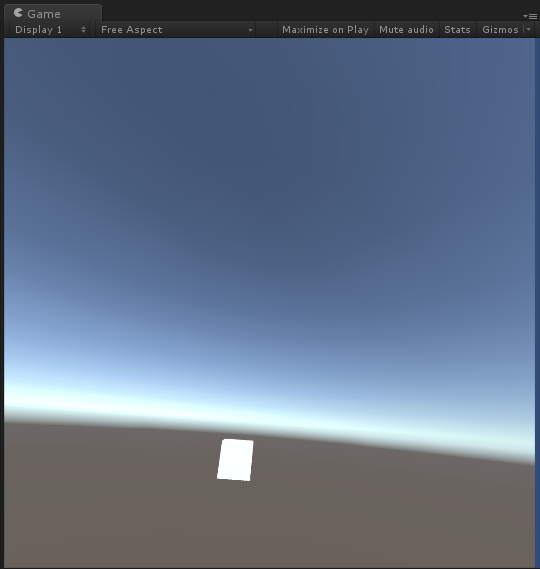 Although this is very basic – it is a real VR app ! 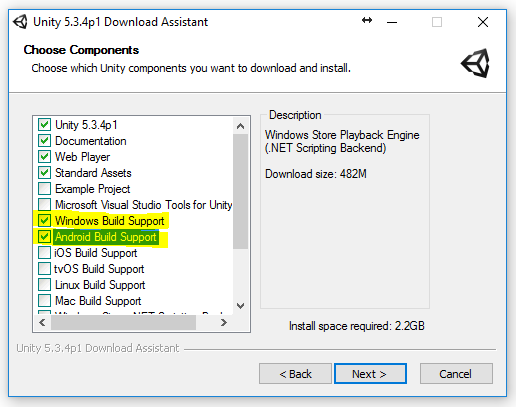 The last step is to export your app as a build that can be shared around without the Unity 3d editor. Open Build Settings again (File->”Build Settings”) and press [Build]. 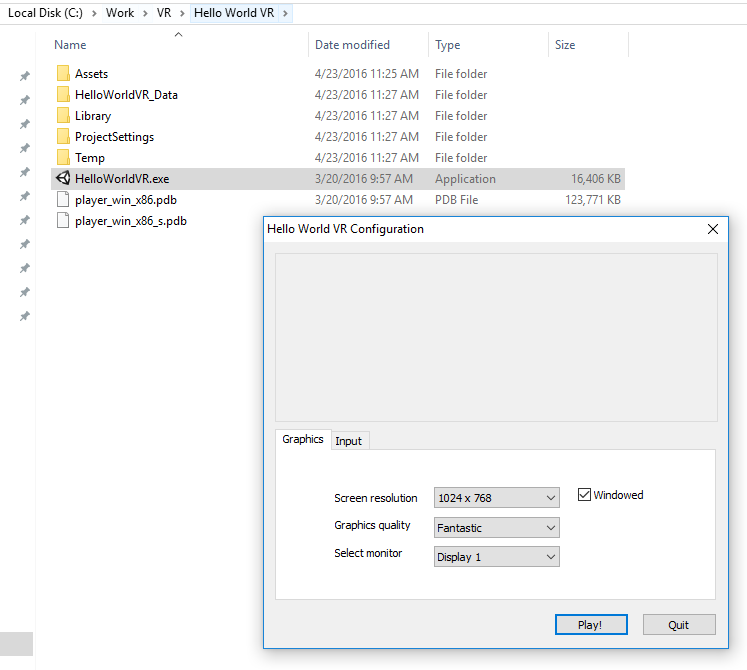 Save your build as “HelloWorldVR.exe”. Once built it will open up the location in file explorer. And that’s it. To share this, zip up the HelloWorldVR.exe and HelloWorldVR_Data folder, and you can send it to others to play! 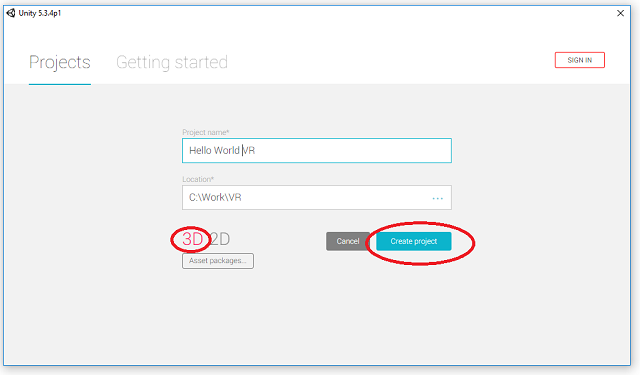 You now have everything you need to get started on your VR app journey. 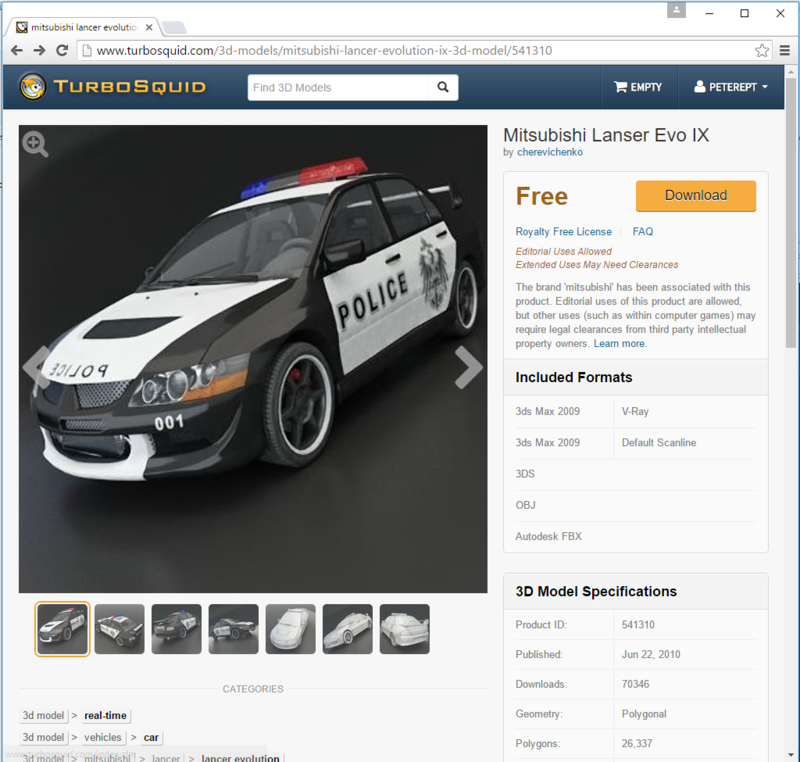 If you are interested in 3D, download an FBX formatted 3D model from a site like http://turbosquid.com. A FBX file typically includes model geometry, textures and materials, and can be imported easily by Unity 3d. Download the FBX zip file, and extract it. 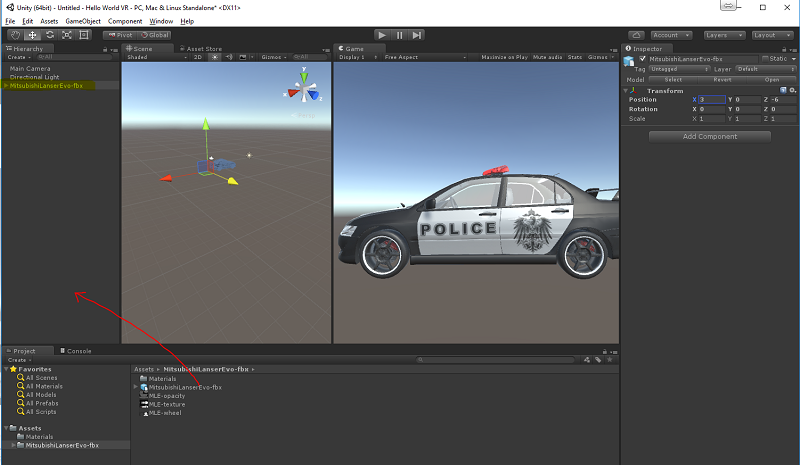 Then drag the MitsubishiLanserEvo-fbx into Unity (into the project Assets window panel). Send me any comments and feedback. Another great tutorial Peter. I’m about to upgrade my PC so will use this, as I’ve not developed with Oculus Rift yet, and outputting for the Gear VR is really annoying. Awesome tutorial, I was having trouble building to Unity, but following this exactly worked perfectly! I am having trouble with raycasting with gear vr and unity 3d very 5. Do you have any tutorials that I could look at? This tutorial is better than any other available on the internet and even better than what Unity provides. 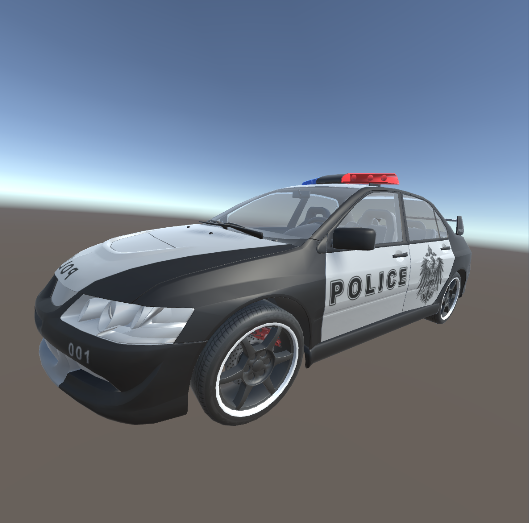 I am into developing a VR app, ( I started off with this article —> https://appreal-vr.com/blog/how-to-develop-a-successful-vr-application/ ) and right now I am working on the graphics with some professionals as I believe the Visual aspect is an important part of the any VR app. The journey from start to where I am now has been amazing and I think from here onwards, its gonna be ever more awesome. To anyone who is starting to work on the project, There’s a lot of hardwork coming your way. Do your Best! Wish you Luck.